Stacking Shelf – Double or triple stack buckets, pails and small containers. 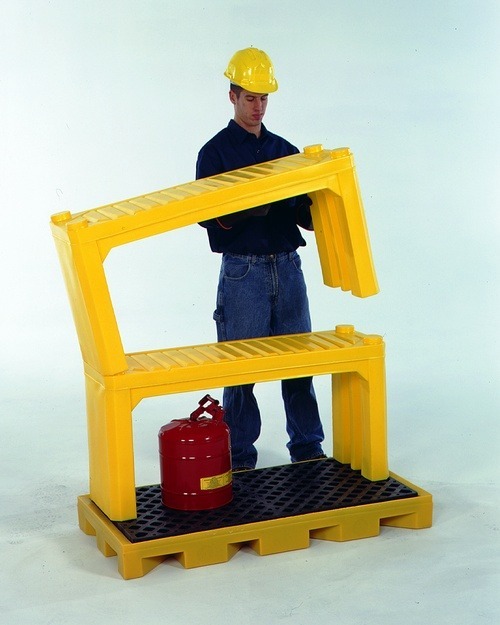 Fits on any spill pallet or spill deck. Contoured top surface channels spills or leaks into the sump below.